The thermometer may be rising in Provence, but Bharat Doshi has been spending his days working on the ITER cryostat, the "supersized fridge" that will provide a vacuum environment to the superconducting magnets and help to keep them cool. Bharat Doshi joined ITER in May as Section Leader for the Cryostat & Vacuum Vessel Pressure Suppression System (VVPSS). As the mounded dossiers on his desk attest, his first weeks on site have been extremely busy. "Our team is finalizing system requirements documents for the end of this month, before beginning the conceptual and preliminary design review process. These are necessary steps in finalizing the design of the cryostat down to the last detail before signing Procurement Arrangements in 2010." From two team members currently, staff in his Section will be added over the next months. 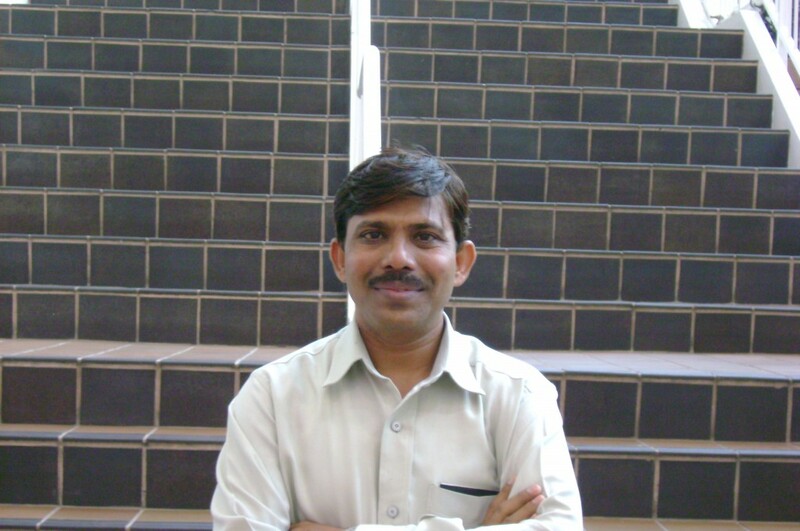 Bharat was trained as a mechanical engineer at Gujarat University in India. Early on, he worked on the design and development of mechanical systems for the MIG-27 fighter plane. He joined the Institute for Plasma Research's Tokamak fusion program in 1990, and contributed toward the development of two experimental tokamaks—ADITYA and SST1—following SST1 development from conceptual design through to integration. For the last three years, Bharat was Project Manager for the cryostat and VVPSS system at the Indian Domestic Agency in Ahmedabad. He worked on developing the design and specifications for the ITER cryostat, and developed the ITER-India Quality Assurance Program Manual; India will have full responsibility for cryostat and VVPSS procurement for ITER. He collaborated closely with the ITER Organization during these years and with people who are now situated just a few doors away. "Part of the complexity of the project is fostering efficient collaboration between the ITER Organization and the Domestic Agencies, and beyond that between the Domestic Agencies and their industrial partners. Industry needs a solid blueprint to move ahead. That is what the ITER and the Domestic Agencies are working toward now. It will take much devotion and dedication; I'm glad to be a part of such an interesting challenge."